We, the entire Kahara Family, regret to announce the passing of our family Matriarch, Mrs. Mary Wanjiku Kahara on 30th April 2018 at the Nairobi Hospital. Mary was the first born daughter the late David Kiarie Mukoma and the late Racheal Muthoni Kiarie of Nyathuna Village, Kirangari. 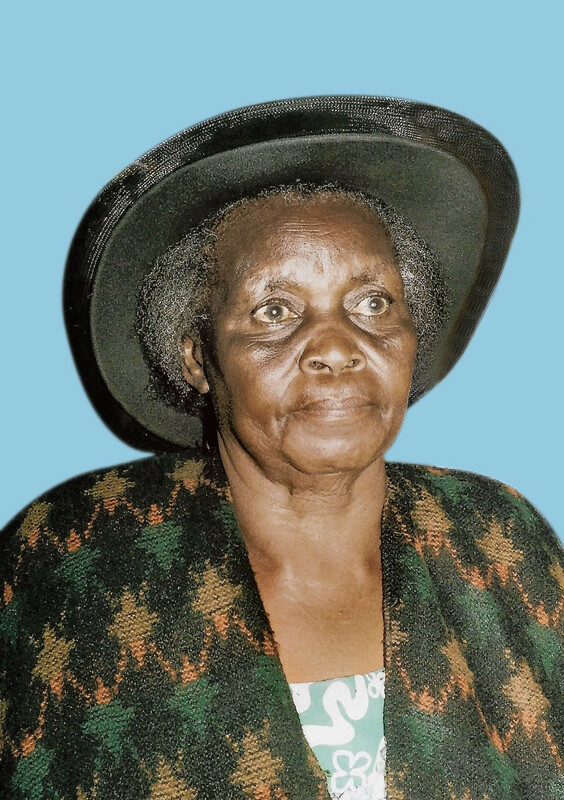 She was the wife of the late John Hosea Kahara and together they were blessed with seven children, John Kariuki, Olive Josephine Wairimu Mwangi, Rachel Muthoni, the late Catherine Wangari, Grace Njeri Ouma, Esther Njoki Kahara, Eva Wanjiru Mingala. Mother in law of Jane Ngonyo Kariuki, the late Micheal Mwangi Thuo, Wilson Mutugi, Sam Ouma and Ken Mingala. Grandmother to 21 children and to 23 great grandchildren. She was the eldest sister to the late Joel Ndungu, the late Margaret Njeri, the late Daniel Gachwiri, Rose Wanjiru Maina (USA), Edwin Kinyanjui and Matthew Gitau. Meetings are being held every day at her residence in Acre Ithano, Rironi, from 4.00pm. There will be a service at her home on Sunday 6th May 2018 at 2.30pm. The cortege leaves PCEA Kikuyu Hospital Funeral Home at 9.00 am on Tuesday 8th May 2018. Funeral service will be held at her home in Acre Ithano Rironi starting at 11.00am. May Jehovah remember you in the resurrection.